Fun fact: According to the North Texas Food Bank (NTFB), there are 137,820 food-insecure people in Collin County. Okay, maybe that isn’t a fun fact. However, a branch of the NTFB reached a substantial milestone to combat the issue of hunger – not just for Collin County but for all of North Texas. The Indian American Council (IAC) launched an ambitious campaign titled “Million Meal March” on September 29, 2017. Rallying around the cry of “Hunger Mitao” (meaning Wipe-out Hunger), the goal was to fund one million meals for hungry neighbors across North Texas. The IAC achieved their goal in just seven months. The success of the IAC reflects the giving spirit of local sponsors, businesses, and individuals from the Indian American community who call North Texas their home. The leadership of the council pledges to continue the fight against hunger and plan to measure and celebrate successes in million meal increments. 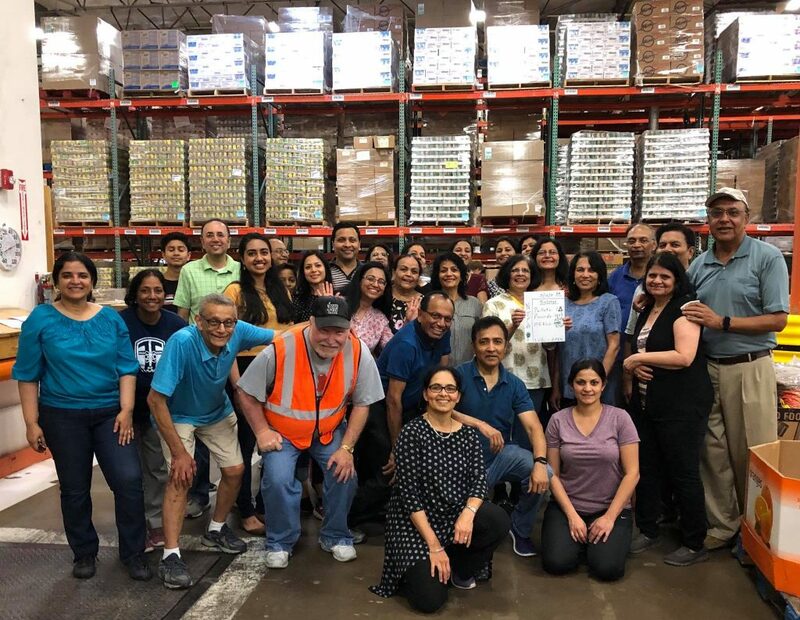 The IAC’s goal is to raise awareness, improve engagement, as well as channel resources and contributions of the Indian American community towards NTFB’s mission. The committed and diverse steering committee is the driving force behind the council. By providing access to one million nutritious meals, the IAC is directly contributing to the Food Bank’s vision of a hunger-free, healthy North Texas. The IAC also looks to create a national model for other food banks and communities to replicate and enable millions of meals for our hungry neighbors across America. In the spirit of “give where you live” the vision of the IAC is for the community to unify and be a recognizable leader in the fight against hunger. As a result, the IAC looks forward to volunteer and increase community service at the NTFB Perot’s Family Campus set to open in Plano.